Unlimited Drivers - NO extra Cost - App for drivers and customers. Our Taxi Booking Software and reservation system is ideal for any taxi or private-hire transfer business. However, our plugin “software” can be integrated in any type of website, like wordpress. Our dispatch system for taxis can receive bookings by phone, through the online form or our apps. Our software is a tool to manage your fleet quickly and easily. Providing an online fare calculator gives customers the flexibility to make a booking with a taxi or airport transfer firm without any delay or hassle when they arrive off their flight. Those travelling internationally need not worry unnecessarily about any language barriers or delays in waiting. Having booked and paid online, their driver will be waiting and ready to transport them without delay to their final destination. Customers enjoy the assurance they are dealing with a reliable, safe and professional private taxi-hire or airport Transfer Company and it makes it a lot more efficient if both customer and company have an agreed in advance the cost of fare for their journey. 3 different Licenses – Basic, Business & Corporate. 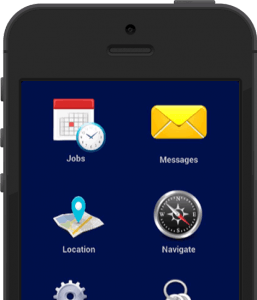 Our Taxi booking software, taxi system, has a simple mission; to provide customised software for Taxi and Vehicle Hire Companies that will take their business to the next level. Our Taxi fare calculator software is one of the most advanced private-taxi and airport transfer Fare Calculators available. When customers are searching online to book a taxi, cab or airport transfer, our Taxi booking software, taxi system, provides an easy-to-use and immediate fare quotation and reservation system with online payment facility – their entire journey booked and, where required, paid for in a matter of minutes. The Taxi booking software, taxi system, provides a simple step-by-step solution for both customers and taxi-hire companies in response to the increasing demand in the travel industry to provide immediate private taxi-hire and airport transfer bookings online. The system is both easy to integrate and easy to manage and provides any private taxi-hire or airport transfer business with complete control over the core considerations when calculating the cost of a fare and managing customer transfer bookings. The Online taxi booking software, taxi system is an attractive tool that will bring more visitors to your website, increasing this essential revenue stream. The system provides your Company with online reservations that are fully trackable online from time of booking to delivery of the client at their final destination.